Two weeks after the assassination of opposition leader Boris Nemtsov, the pro-Kremlin Komsomolskaya Pravda (KP) has revived a claim first floated a few days after his death and then abandoned - that Adam Osmayev, a pro-Kiev Chechen fighting against Russian-backed separatists in the Donbass, is somehow linked to Nemtsov's death. KP says they have obtained an "exclusive interview" from an officer of the FSB who is in the investigation group for Nemtsov's murder. 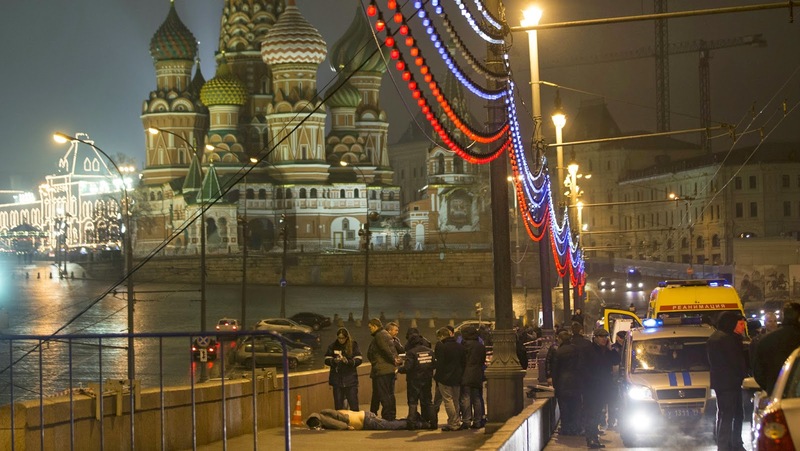 The unnamed officer "gave the name of the most likely contractor of the shooting of the politician [Nemtsov]." The Boris Nemtsov murder investigation is the latest episode of an ongoing struggle between Chechen leader Ramzan Kadyrov — President Vladimir Putin's protege — and Russia's federal law enforcement officials, analysts told The Moscow Times on Wednesday. 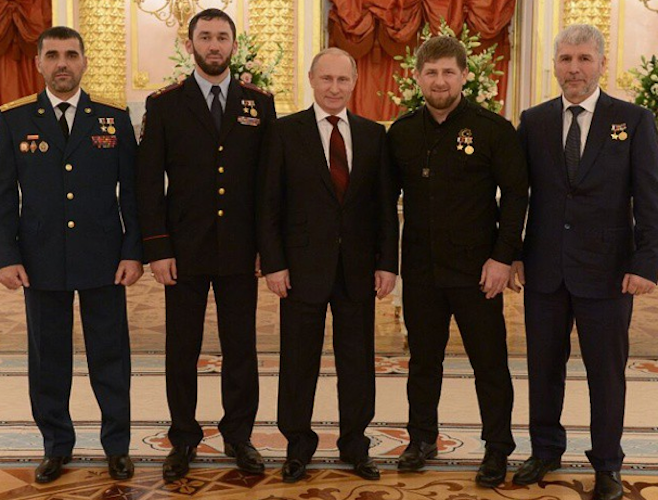 The often brazen lawlessness with which Kadyrov's loyal forces have reputedly operated in Chechnya, across Russia and abroad has long been a sore spot for federal law enforcement agencies, according to Alexei Malashenko, a Caucasus analyst with the Carnegie Moscow Center. "From what I can see, there has always been friction between Kadyrov and the federal forces, because Kadyrov only answers to Putin. This has irked people, especially since Putin awarded him the Order of Honor," said Malashenko. The attempted murder of the Mayor of Khasavyurt Saigidpasha Umakhanov was ordered by people close to the head of Chechnya Ramzan Kadyrov, said a source from special services of Dagestan, citing the testimonies of the residents of Chechnya, convicted in this case. Its figurants include Shaa Turlaev, a former adviser to Kadyrov, who is now wanted, and Adam Delimkhanov, an MP of the Russian State Duma, the "Novaya Gazeta" reports. The "Caucasian Knot" has reported that in March 2014, in Khasavyurt, the residents of Chechnya Ramzan Djabrailov and Badrudin Kachaev were detained on suspicion of plotting an attempt on the above Mayor Saigidpasha Umakhanov. On February 17, they were sentenced to 9 and 12 years in prison, respectively. A Chechen activist has died in Istanbul after being hospitalized with his family members for food poisoning, as some of his relatives and Turkish activists accuse the Russian intelligence agency of poisoning wild garlic sent to him from Chechnya. The head of the Humanitarian Relief Foundation (İHH), a conservative NGO in Turkey, said during the funeral that he also thought the Russian intelligence agency was behind Saduev’s death. “I’m addressing my Chechen brothers: Be very careful, no one among you is safe. Be careful of what you eat and where you go,” İHH head Bülent Yıldırım said, claiming Moscow prepared “a new assassination list” to target Chechen dissidents in Turkey. 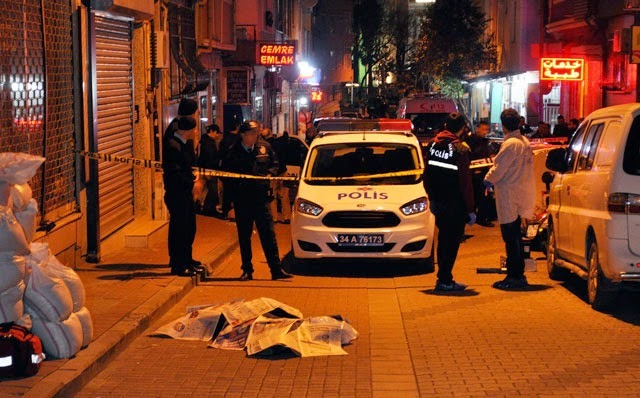 Hafizova confirmed earlier reports saying that on March 5, she, Quvatov, and their two sons had been invited for dinner at the house of Sulaimon Qayumov, a 30-year-old Tajik citizen who has been residing in Istanbul for several months. Hafizova said that she, Quvatov, and their sons felt sick after consuming food offered by Qayumov and rushed out for fresh air. An ambulance eventually arrived at around 10:30 p.m. When they were outside, Hafizova said, an unidentified man approached Quvatov from behind and fired a single shot to his head before fleeing. In comments that are sure to exacerbate ever-growing fears of militancy in Central Asia, Russia's deputy defense minister has warned that militants from the Islamic State (IS) group in Afghanistan pose a threat to Tajikistan. Anatoly Antonov reminded reporters in Moscow on March 5 that the IS group already had a presence in Afghanistan. Antonov said that the IS militant group posed a threat to Russia's partners in the Collective Security Treaty Organization (CSTO), an intergovernmental military alliance comprising Russia and five other post-Soviet states, including Kazakhstan, Kyrgyzstan, and Tajikistan. The main threat posed by the militants is to Tajikistan, Antonov explained. The head of the Collective Security Treaty Organization (CSTO) of the Commonwealth of Independent States (CIS) says its military forces could be at the Tajik-Afghan border within three days if a conflict broke out there. Speaking at a press conference in the Tajik capital, Dushanbe, late on March 13, Nikolai Bordyuzha said CSTO forces could repel any threat emanating from the Afghan side of the border. Bordyuzha said Russia is not looking to create a "second front in Tajikistan, but [Russia] would never permit the security of a CSTO member to be in doubt." Turkmenistan is undertaking the first large-scale mobilization of its reserve military forces since gaining independence, which government officials say is required to ward off the threat of ISIS forces gathering in neighboring Afghanistan. That's according to a report in Central Asia Online, a Pentagon-funded news website known mostly for its sunny promotion of the activities of some of the world's most authoritarian governments. This report, even though it falls into that same pattern, is nevertheless pretty extraordinary for the fact that it gets several Turkmenistan officials to talk on the record, and some of them even disagree with one another. 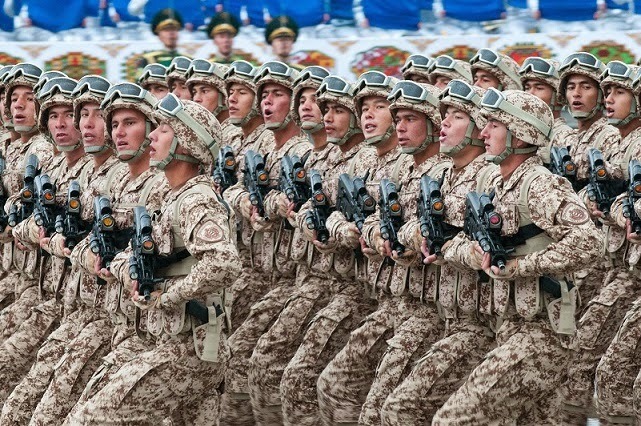 "This is the first large-scale and serious ... mobilisation of reservists in the nearly 24 years of the country's independence," Defence Ministry official Agamyrat Garakhanov told Central Asia Online, calling the number of called-up reservists a "state secret". Days after word leaked that the Afghan Taliban had signalled willingness to enter talks to end Afghanistan's long war, senior representatives of the militant group visited Islamabad for secret discussions on the next step forward. The two senior Taliban figures in question are political leader Akhtar Mohammad Mansour, who favours negotiation, and battlefield commander Abdul Qayum Zakir, a former Guantanamo Bay detainee, who opposes talks with Kabul. China convicted and sentenced more than 700 people for instigating separatism and terrorism last year, mainly in the Muslim-dominated volatile Xinjiang region where militants linked with al-Qaeda have carried out attacks. The Supreme People's Court today said that 712 people were sentenced for instigating secessionist activities and participating in violent terrorist attacks, a jump of 13.3 per cent year-on-year. In a report to the National People's Congress, Chief Justice Zhou Qiang said that those convicted were involved in 558 cases, up 14.8 per cent.